Dr. Dhia Mahjoub is the Head of Security Research at Cisco Umbrella (OpenDNS). He leads the core research team focused on large scale threat detection and threat intelligence and advises on R&D Strategy. 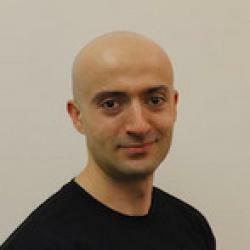 Dhia has a background in networks and security, has co-authored patents with OpenDNS and holds a PhD in graph algorithms applied on Wireless Sensor Networks' problems. He regularly works with prospects and customers and speaks at conferences worldwide including BlackHat, Defcon, Virus Bulletin, BotConf, ShmooCon, FloCon, Kaspersky SAS, Infosecurity Europe, RSA, Usenix Enigma, ACSC, NCSC One Conference, and Les Assises de la securite.